One of the main reasons I wanted Jackie Truty to shoot online courses for us was her knack for combining techniques. One of the more popular jewelry-making techniques these days is metal clay jewelry. It’s no surprise–the options are endless and you don’t need a ton of expensive tools to create a masterpiece! 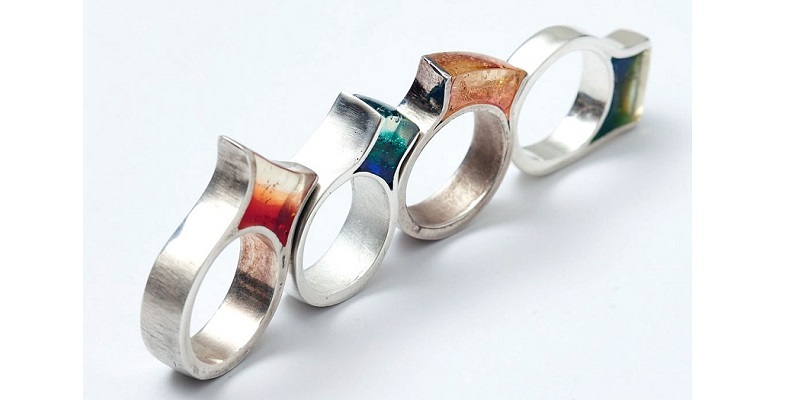 Once you take the plunge in learning to make metal clay jewelry, it’s time to take it further. After Jackie’s first course on metal clay quilling, her new course on making metal clay and resin jewelry, Advanced Metal Clay Series: Resin Jewelry Using Art Clay Course, is the perfect next step! While you’re learning the technique, you end up with this spectacular ring! 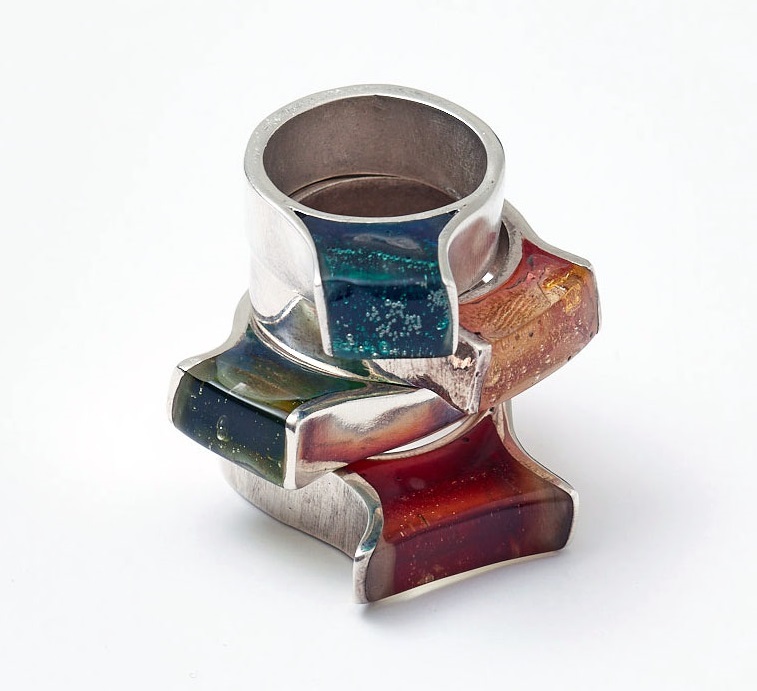 Learn to make this resin ring project from Jackie’s new course on making metal clay and resin jewelry. Now, you may not be interested in rings, but keep in mind, these techniques apply to all types of jewelry. Basically, you make metal clay jewelry and then incorporate a chamber to hold the resin. So this process works for necklaces, bracelets, earrings and any other jewelry piece your little heart desires! Jackie also teaches you how to add inclusions into your metal clay and resin jewelry. I’m tempted to create a pendant with some glitter and one of my puppy’s baby teeth in it! Yes, I’m proudly one of those obnoxious puppy-mamas. The point is to let your creativity flow and come up with some fab metal clay and resin jewelry, customized by your little noggin! While the end result looks very professional and difficult, the process for making metal clay and resin jewelry is actually quite simple. Jackie has a very comfortable teaching style and takes you through each step, filling you in with tips and details you only get from a veteran instructor. 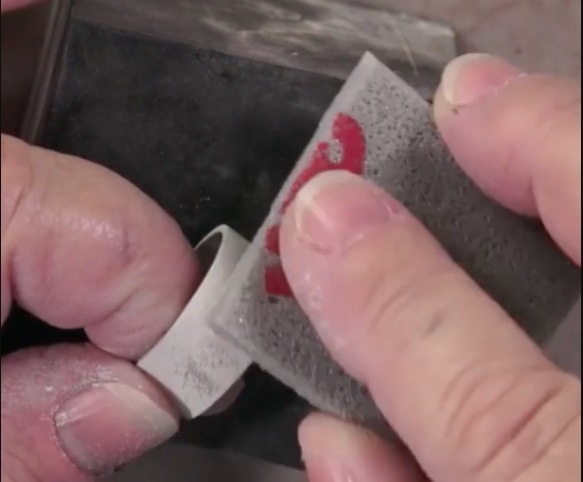 From creating the initial metal clay ring, sanding, polishing, and finishing techniques to the resin fun, every process is covered. 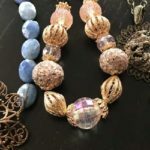 I asked many questions I thought students would have themselves, so the course is chock full of important information to guarantee your success at making metal clay and resin jewelry! You’ll learn to create the smoothest surface with lots of sanding your metal clay jewelry. 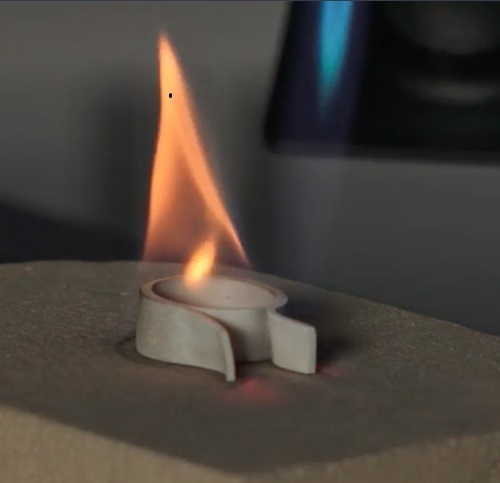 One of the best parts of this technique IMHO is using a torch to fire your metal clay ring. When I first learned how to torch fire metal clay, I was a wreck! I envisioned burning off my eyebrows or hair. My fear didn’t create a pretty picture, and I was shaking like a leaf with the first flame. Then, it became fun! It’s sheer magic watching a lump of clay you shaped and molded into a piece of jewelry turn into metal. Alchemy at its finest. Once I built up my confidence, it’s been nonstop firing ever since. You can fire these pieces in a kiln if you wish, and sometimes when I’m in production mode and cranking out a bunch of pieces, it’s more time-efficient to fire them all at once. But if you can’t wait to see the results, torch firing is your jam! Hopefully your interest in making metal clay and resin jewelry is piqued and you want to learn more, so here’s a sneak peek. Straight and narrow: Remember to roll your clay very straight without any marks. Tight seal: Make sure your packing tape has stuck to every surface of both sides of the ring so the resin doesn’t leak out. 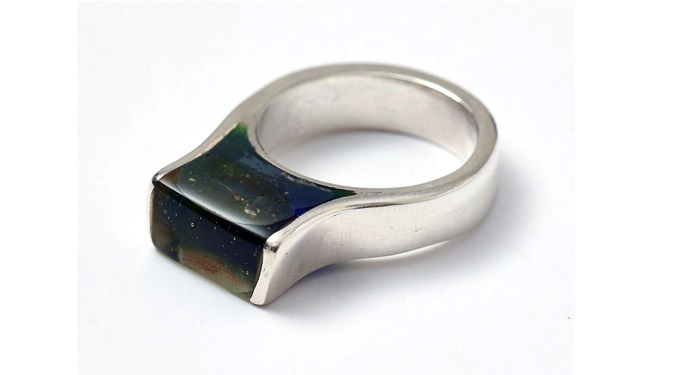 Clear is crucial: Put a small amount of clear resin in the inside corners of the metal clay ring before you add color. Cure well. Beware of the dark side: Remember that the darker you make the color of your resin, the longer it will take to cure. Light is best. Smooth as glass: Use water while sanding the resin. Always wet sand as you work your way to a smooth finish. Change the water between sandpaper grits to keep stray particles from scratching the resin. 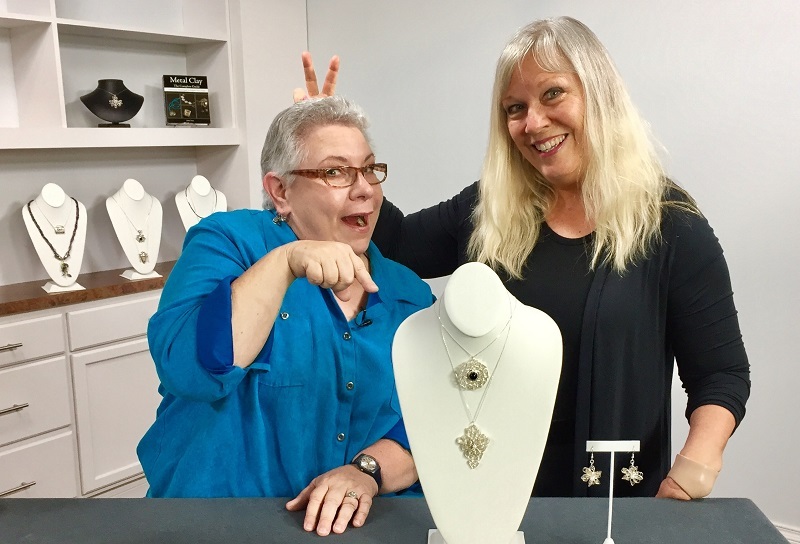 See those tips in action in this video sneak-peek on making metal clay and resin jewelry with Jackie Truty! Jackie and Kristal having fun on set! Learn more about making metal clay and resin jewelry, plus other metal clay jewelry making!